Unified room-to-room home entertainment from HDANYWHERE in 2019. 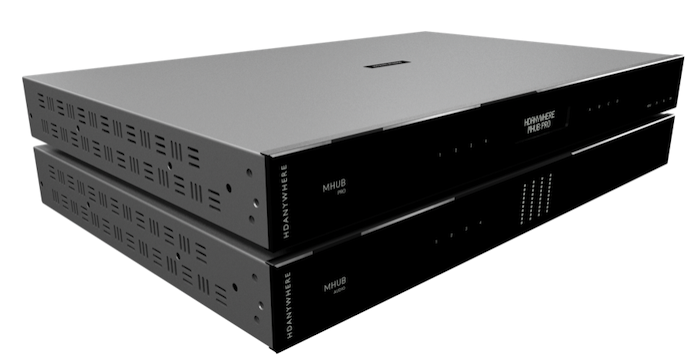 HDANYWHERE have announced they intend to add six new MHUB 2.0 video matrix models, standalone uControl zone processors, and a tweaked audio matrix-amplifier to their multiroom AV system lineup at Integrated Systems Europe in Amsterdam in February. 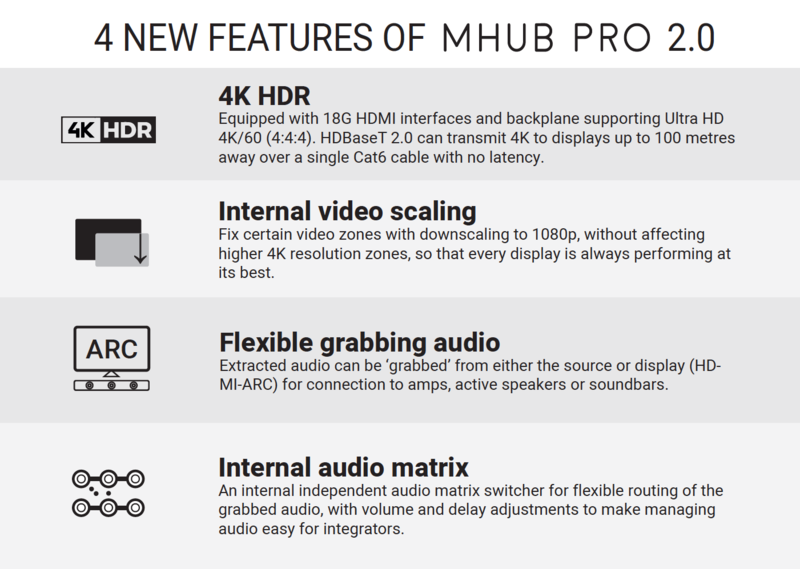 Designed for the most-modern home entertainment market requirements, the new matrix models ‘MHUB U 2.0’ and ‘MHUB PRO 2.0’ are (unsurprisingly) fully HDMI 2.0 compatible, boasting 18G HDMI interfaces that support the latest 4K HDR video content, and Dolby Atmos surround sound. As with all MHUB systems they’re easily-controlled via the bundled-free uControl universal remote app or with Alexa voice control. Remote system management is also available via the HDA Cloud service, a popular plus point for the modern integrator. The new MHUB PRO 2.0 systems feature a range of performance improvements and functionality upgrades, which specifically address the needs of a contemporary install. HDA are room-to-room home entertainment innovators, recently launching MHUB V&A - a complete solution for watching and listening throughout the home. An MHUB V&A system delivers multiple locations of pixel-perfect 4K video and 110W amplified audio zones from a central point. In addition to HDMI video matrix switchers (the MHUB ‘V’ part), HDA offers a newly multi-zone audio matrix-amplifier with improved DSP (the MHUB ‘A’ part) and a universal control system to bring it all together, uControl. Maximising multimedia enjoyment throughout the whole home with immersive entertainment, but without the usual tech clutter dotted about. MHUB systems enable users to centralise video sources so that they’re hidden away, thus creating neater, uncluttered living spaces. 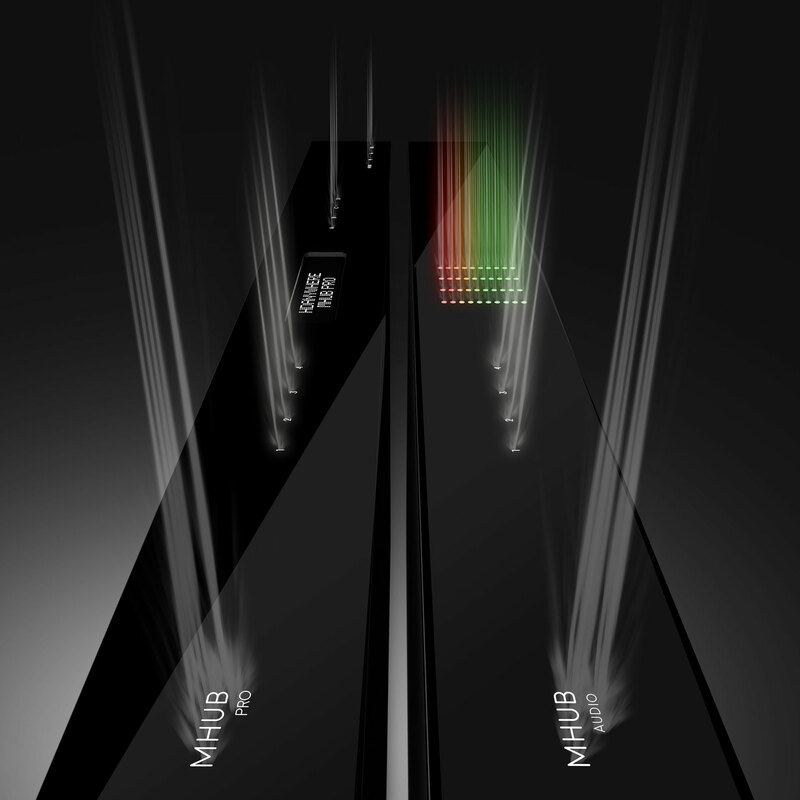 Financial investments in AV devices and content are maximised through multiple display usage and enhancements in performance, like improved sound or more straightforward control. Entertainment throughout the home becomes a more unified experience with consistent content availability and a familiar, intuitive control interface everywhere with the uControl app. Ultimately HDA products deliver higher quality audio-visual experiences, pixel perfect images, honed impactful sound and new universal control options, like app and voice that fundamentally improve the relationship people have with AV in their homes. In 2019 uControl won’t just be value-add feature of every MHUB matrix, but also a dedicated product in its own right with two standalone zone processors being released. The ZP and ZPM provide wired infrared, serial or CEC control of a full set of devices in a room via the uControl App. But HDA’s focus on uControl doesn’t mean that they’ve gone cold for third-party controllers - far from it! Integrators will appreciate the new Chowmain-written IP control drivers that integrate a V&A stack super-easily with third-party control systems like Control4 and RTI for a great pro-integration experience. The new drivers leverage HDA’s patented uControl IP2IR technology to utilise the IR I/O ports on both the central HDMI matrix and the HDBaseT display receivers to deliver additional and expanded control capability to third-party control systems. Meaning that MHUB matrix systems allow third-party controllers to utilise the MHUB’s multi-zone IR pathways as IO port expansion, giving additional infrared outputs for easy control and integration of all AV components without requiring more control system hardware, and at no additional cost. HDANYWHERE on show at ISE in February booth 5-U62 and shipping in time for the show.